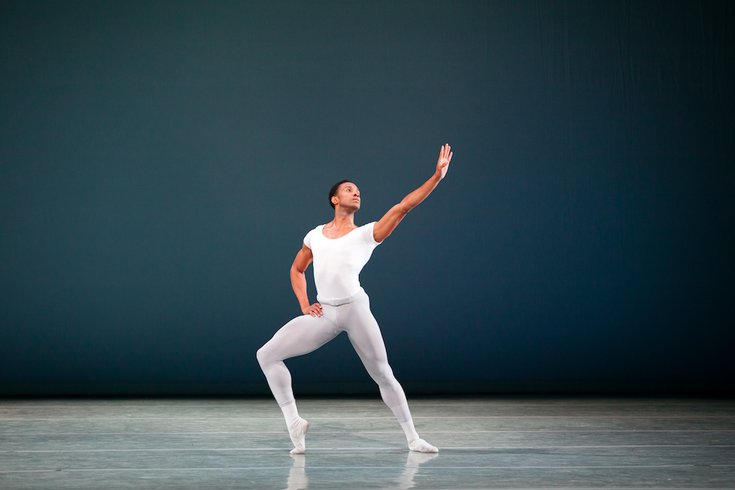 Principal Dancer Jermel Johnson in George Balanchine’s "Square Dance." The boundaries of ballet will be pushed in "Revolution," a repertoire program performed by the Pennsylvania Ballet. The triple bill is comprised of George Balanchine’s "Square Dance," David Dawson’s "The Third Light" and a world premiere by Brian Sanders. "The Third Light" is rooted in classical ballet tradition but is also an abstract piece that takes the audience on an emotional journey. In "Square Dance," the dancers break away from tradition and instead pay homage to American folk dance with speedy footwork in a challenging ballet. Sander's world premiere is the most innovative, fusing ballet with gymnastics. •Thursday, Nov. 10 at 7:30 p.m.
•Friday, Nov. 11 at 7:30 p.m.
•Saturday, Nov. 12 at 2 p.m.
•Saturday, Nov. 12 at 8 p.m.
•Sunday, Nov. 13 at 2 p.m.